• Curry leaves - 12 numbers. • Garlic (crushed)flakes - 8 numbers. • Green chillies (slit into half & seeded) - 4 numbers. • Onions (finely chopped) - 90 grams. • Clarified butter - 1/4 cup. • Toor daal - 1 cup. • Mustard seeds - 3/4 teaspoons. • Whole red chillies - 4 numbers. • Tomatoes (chopped) - 500 grams. • Turmeric powder - 1 teaspoons. Add oil add garlic, onion, add tomatoes, turmeric, red chilli powder and green chillies. Cook all the ingredients scum, reduce to low heat, simmer, stirring at regular intervals, add mashed lentil . Continue to simmer. To prepare the tempering, heat ghee in frying pan, add mustard and cumin seeds, stir on medium heat until they begin to pop, add garlic and stir -fry until golden brown. Then add red chillies and curry leaves, stir until the chillies becomes bright red, and pour over the simmering daal. Remove and adjust seasoning. Tomato Pappu is an integral dish of every day Andhra vegetarian food. This dish is very simple, earthy and a soulful food. Tur dal or Kandi Pappu with tomato is a winning combination and addition of fresh coriander adds a perfect touch. Pappu in telugu is known as the dal. Dal is just one of most essential elements that I really like eating with hot rice. Dal is additionally one of several popular pulses generally prepared in each and every house in South Asian countries. I like preparing dal specifically providing an outstanding tempering or tadka to the dal because it astonishingly reveals the taste and flavor that produces our palate salivate and desire to consume much more. Actually, tempering is a crucial p... Read More..
Dal is just one of most essential elements that I really like eating with hot rice. Dal is additionally one of several popular pulses generally prepared in each and every house in South Asian countries. I like preparing dal specifically providing an outstanding tempering or tadka to the dal because it astonishingly reveals the taste and flavor that produces our palate salivate and desire to consume much more. Actually, tempering is a crucial part in cooking Indian food. 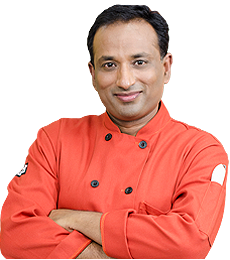 Tempering is virtually provided to a lot of the recipes straight from easy chutney to preparing many different dals or curries or gravies. Dal is quint basically prepared nearly in each and every Indian home regular that is often offered with rice, roti or chapatti. Dal may also be spelled in lots of ways such as the “Dahl”, “Daal”, “Dhal”, or even the “Parippu”, “Paruppu” and “Pappu” as a result of broad ethnic traditions and diverse dialects that we've in the Country. Dal is actually a preparation of pulses that have been removed of the outer shell and split. Dals will also be frequently accessible such as the whole pulses referred to as sabut dal or even the split dal referred to as dhuli dal. The hulling of the pulse would be to enhance digestibility and palatability. There are actually more than 50 varieties of pulses in India & Pakistan. Dal is ready just like a thick stew with moderate spices or herbs and seasoned with fresh curry leaves and cilantro leaves to provide a natural taste. Masoor dal (red dal) - They are skinned and split lentils. They're salmon colored, cooks easily and turn soft and golden. Toor dal (yellow dal) - A complete lentil, yellow colored having a tan jacket but they are generally skinned and split. They're moderate and also have a nutty flavor. Tur Dal is an extremely crucial ingredient in preparing dal for the everyday meal such as Plain dal, Sambar as well as found in preparation of Rasam. Urad dal (black dal or white dal) - A rich and creamy white lentil like beans possessing a black skin outer shell on top of it, accessible as a whole or split dal. Split dal is generally useful for seasoning the curries/ gravies. This can be used to make the well-known tiffin across the country referred to as “Idli”. To have a tender and fluffy Idli, it's always best to use a whole dal. Moong dal (green gram) - The dal is green in color and it is utilized to make a lot of preparations such as the Pesarattu (also referred to as green Dosa), pakoda and many others. This can be soaked overnight and sprouted. The sprouted dal can be used in preparing salad or also eaten uncooked. It's extremely healthy in addition to a low calorie food. The skinned and split dal can also be referred to as dhuli moong plus they are flat, yellow colored and incredibly fast and easy to make. They are not at all hard to digest as well. Channa dal - Small, splited, size of a half chickpea, dull yellow colored having a sweet and nutty flavor. Probably the most common dal in India used mostly in seasoning and lots of other types of food. Cooked Channa dal usually leads to flatulence, therefore Indian attempt to counter with the addition of asafoetida to dish. Rajma - Typically referred to as Red Kidney Bean around the globe. Usually prepared in Northern India and often offered with rice (referred to as Rajma-Chawal). Rajma can also be prepared in onion tomato gravy with spices and it is tangy to taste. Red Kidney bean is loaded with iron, potassium, thiamine, vitamin B6, folic acid and it has quite high starch, protein and dietary fiber. Black eyed peas are fantastic way to obtain calcium, folate and Vitamin A amongst other nutritional value and high in nutrition. Included in the Jewish New Year traditions, it's believed that consuming black eyed peas provide success and good luck. Black eyed bean is very common in the west particularly South America and it is generally found in Indian cooking. Preferred recipes prepared using the Dals consist of: Idli, Dosa, Vada, Dal Makhani, Moong Dal Vada, Pesarattu, Tadka dal, Dal curry recipe, Dal Bhaati, Palak Dal and many others. chef is it compulsory to add garlic ???? It wasn't that easy! I am single guy who is try to cook indian food but simple. WHY DO U TELL STORIES BEFORE START DOING RECIPES . Thank you chef for such a wonderful recipe..? He just says boiled Dal - how do you get there - remember we are talking novices here - if i put this dal on the stove add water - how long will it take for the dal to boil? Anyone?? Initial you added cumin seed, curry leaves n later why again we need to add same ingredients for tampering? we can skip in initial right chef? ? Thanq for such a nice recipe? this vidio food we prepar in my house is not good very bad?